I’m a sucker for anything that is easy to make and spicy! If you can deliver both, even better! This crockpot chicken recipe is a win because first and foremost it’s easy. No, seriously, it’s a super easy home cooked recipes! Secondly, it has some spice to it. Thankfully, you can tone down the heat or kick it up a notch based on your preferences. In this house, we like to kick up the heat. The below recipe is my take on this delicious crockpot chicken meal. Feel free to make it your own! Experiment with different sauces, types of meat and spices. Pork or shredded beef would also go really well in this recipe. Place chicken breasts, 1 C water, and ½ C of brown sugar in crockpot and cook on low for about 5 hrs or until it’s fully cooked. Drain ¾ liquid out of crockpot and then shred the chicken. Once that’s done pour in the bottle of bbq sauce and ½ C brown sugar. Stir and then cook on low for another 30 min. Now that it’s done spread it onto a hamburger or slider bun. For an extra kick pour on more bbq sauce! *Tip: A quick and easy way to shred chicken is by using your Kitchen-Aid mixer with the paddle attachment. 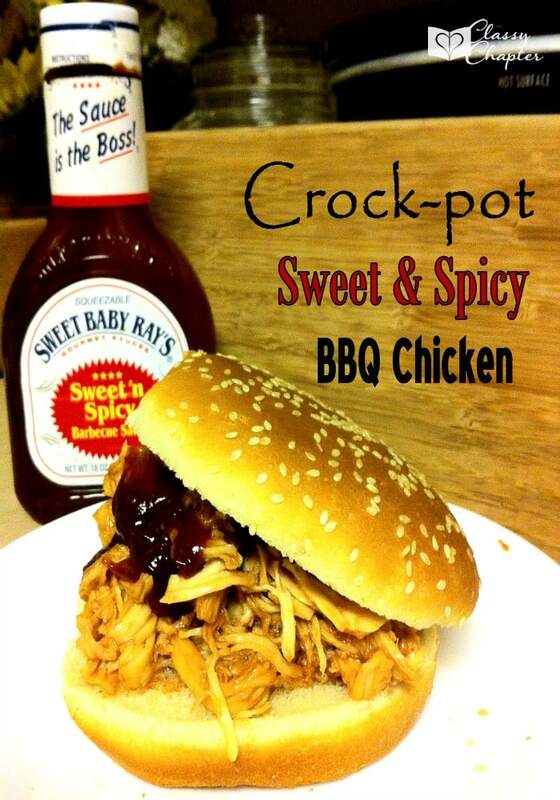 Do you have a favorite crockpot recipe? If so leave it in the comments! If you are looking for more recipes, don’t forget to check out the last few weeks of meal plans! « 52 Weeks of Meal Planning (Week 4) + Free Printable! Yummy! BBQ chicken is one of my favorite meals. I am so excited to try this yummy crock pot version. Thank you so much for sharing! PINNED! Wish I saw this before Super Bowl. Perfect for game day. Found your recipe at the Two Cup Tuesday Link Party. I am the hostesses of Tickle My Tastebuds and would love you to stop by and link up this recipe. What a yummy looking meal, I love my meals with a little extra spice. Thanks for linking up to Sweet and Savoury Sunday, stop by and link up again. Have a great day!